Our public-facing GIS enables both ‘out of the box’ and customised geospatial applications to be deployed by our clients in order to meet simple (such as ‘Where is my nearest?’) to complex data exchange and provision scenarios. Applications are easily configured to provide specialised work and data flows enabling provision to and capture of data spatial from the public and / or clients. Aurora is our complete web GIS solution – and is part of the eVO Platform – allowing users to build location-aware applications to solve common business problems with no programming required. Aurora is efficient and cost effective and can be used without the need to employ expensive consultants or software developers – and an excellent way of helping the public-sector in achieving Channel Shift. It provides a clear and easy channel for communication through mapping and spatial data. Two-way workflows are achieved: as well as imparting information to members of the public, it also provides – through the provision of reporting and consultation tools – the ability to capture information directly from members of the public who wish to report / impart information to or interact with the council. Public consultation for public sector bodies is now a statutory requirement in many areas of work and its capture of public and customer feedback through StatMap’s Aurora public-facing GIS software has become a valuable asset in achieving and meeting statutory objectives. Our clients have put this into practice through the creation and maintenance of portals for statutory consultation exercises such as those for Local and Strategic Plans, new Highway proposals, proposed flood alleviation schemes and school catchment realignments. The list of potential applications is endless. Private Sector organisations can similarly utilise the capabilities of Aurora to present and share business data with clients and third parties, as well as capturing spatial and business attribute information from them. Aurora can be configured to provide targeted projects for users internal to the organisation. Specific dedicated information portals which supply ready-made statistical information without the need to perform any more sophisticated or in-depth data analysis – based upon live data feeds from disparate business systems, giving your organisation the capability of making decisions using data whose currency is absolutely up-to-the-minute. Aurora provides a rich set of fully open APIs which enables successful integration with all CRM reporting workflows for CRM software: providing crucially important spatial geometry and feature attribute data for matters being reported on and business system data being incorporated into the reporting workflows; information which is vitally important in enabling authority staff to act in a timely manner; for example, enabling members of the public to query highway asset management data, and subsequently incorporating asset identification reference IDs into reports submitted to back office systems. Our clients have found that integration with StatMap’s public-facing GIS software has enabled valuable real efficiency savings to be found where officer time is saved in the field as they are now provided with actual coordinate information and asset reference information, enabling them to proceed directly to reported problems, without needing to survey and search for the problems reported using only poorly defined descriptive information. Multiplied over many incidents, the efficiency savings are making considerable improvements in enabling officers to be more productive and provide a much improved service to the general public. The Mailbox Alert Service provides members of the public with the ability to sign up to a local authority’s (and wider public sector) alert service – providing a simple and easy way to disseminate up-to-date and relevant data / information which the member of public wishes to be informed about. The service can be configured easily to provide alert services for a multitude of instances of events which may arise within the locality of the address of the signed up member of the public. Alerts can be delivered via e-mails and / or text services to mobile phones. Types of events (i.e. 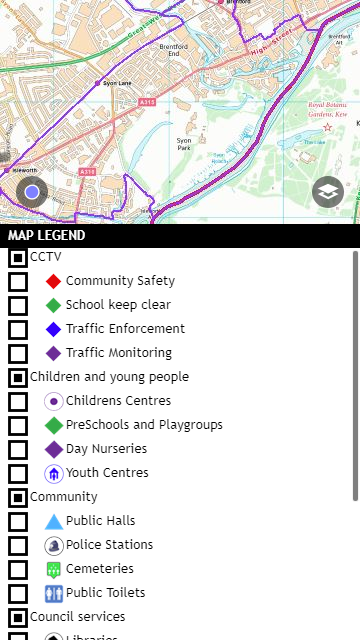 events triggering alerts) can be as extensive as you wish, including road works, new planning applications, flood events, broader community events, etc. Essentially, the list of alerts for events is entirely configurable by the local authority – and which members of the public can then be free to subscribe to at will. 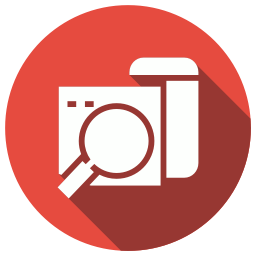 The Mailbox Alert Service enables members of the public to take greater control of the means of informing themselves about current and future events which affect their lives. It supports channel shift and changing the way councils do business. Aurora works perfectly on mobile devices, including modern smart phones. You are able to take advantage of inbuilt capabilities of mobile devices, such as inbuilt GPS locational capabilities: zooming users to their location when using the "You're here" icon on the screen. It enables reporting by spatial location.